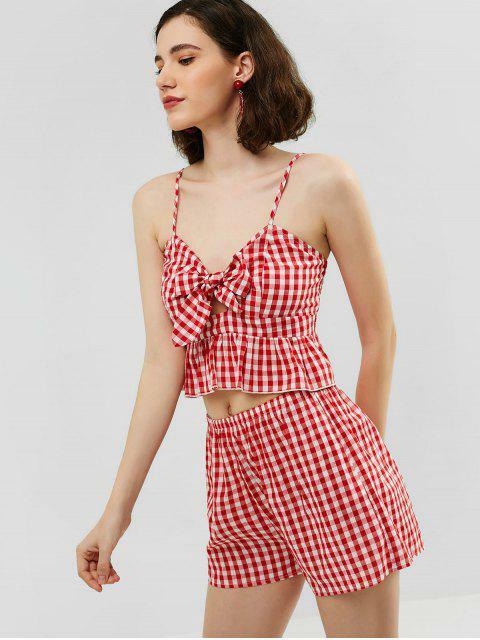 [27% OFF] 2019 ZAFUL Knotted Gingham Peplum Top And Shorts Set In LAVA RED | ZAFUL ..
Keep you feeling cool on sunny days in this shapely gingham two-piece set! 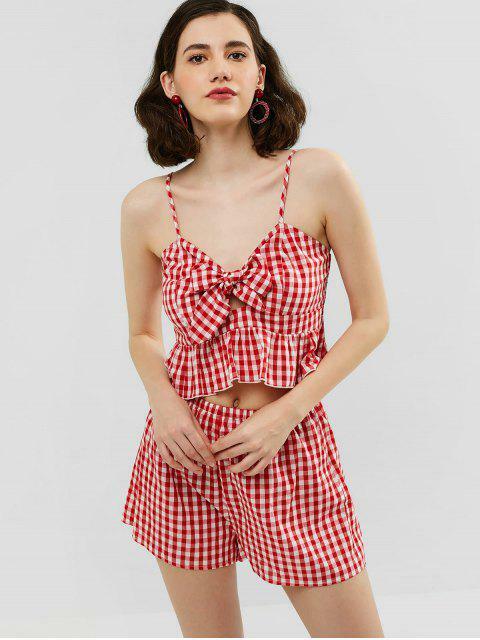 The cropped cami top is designed with a flouncing hemline, smocked back, and a sweet self-tie bowknot at the front for decoration. Slim shoulder straps can be adjusted for a suitable fit. Includes a pair of high rise shorts to complete the trendy style. Perfectly suited for weekend shopping, vacations, or friends gatherings.